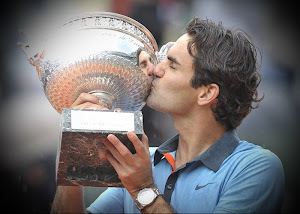 Roger Federer was born 8 August 1981. He is a Swiss professional tennis player who as of August 2012 is ranked World No.1 by the ATP. Several sports analysts, tennis critics and former and current players consider him to be the greatest tennis player of all time. Federer was born in Binningen, Switzerland near Basel, to Swiss national Robert Federer and South African-born Lynette Durand, of Dutch and French Huguenot ancestry. He holds both Swiss and South African citizenship. He grew up in nearby Münchenstein, close to the French and German borders and speaks Swiss German, German, French and English fluently, Swiss German being his native language. He was raised as a Roman Catholic and met Pope Benedict XVI while playing the 2006 Internazionali BNL d'Italia tournament in Rome. 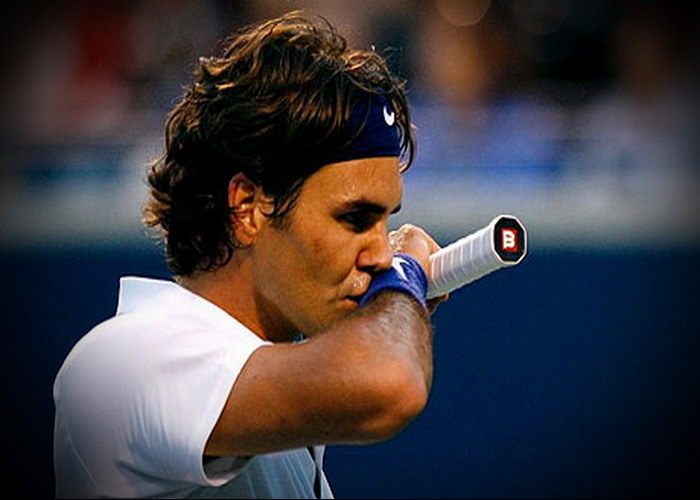 Like all male Swiss citizens, Federer was subject to compulsory military service in the Swiss Armed Forces. He owns several men's world records of the Open Era: holding the number 1 position for 295 weeks overall, a 237-consecutive-week stretch at the top from 2004 to 2008, winning 17 Grand Slam singles titles; reaching the finals of each Grand Slam tournament at least five times (an all-time record); and reaching the Wimbledon final eight times. Federer has appeared in 24 men's Grand Slam finals, with ten in a row, both records, and appeared in 18 of 19 finals from the 2005 Wimbledon Championships through to the 2010 Australian Open. He is the only man to reach the semifinals of 23 consecutive Grand Slam tournaments, from the 2004 Wimbledon Championships through the 2010 Australian Open. 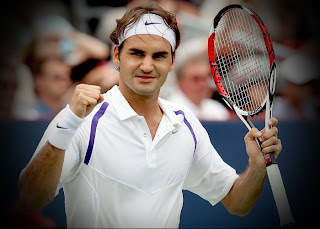 At the 2012 Wimbledon men's championship, he reached his 32nd Grand Slam semi-final and seventh trophy, both records. At the 2012 US Open, he reached a record consecutive 34th Grand Slam quarter-final. 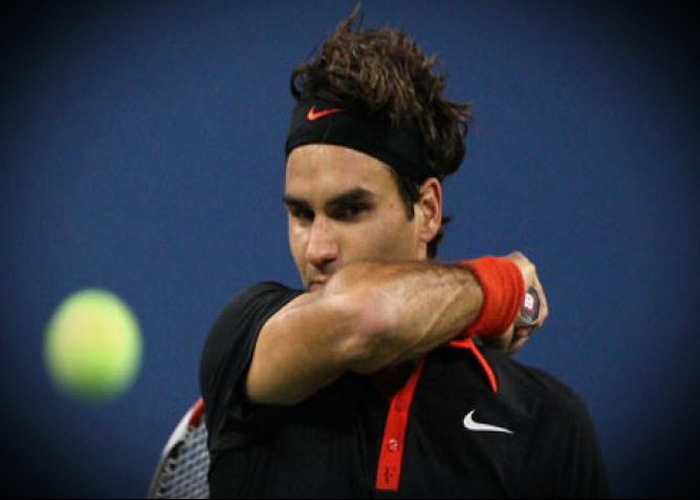 He has also won the most matches, 247, in men's Grand Slam tournaments. He also won the Olympic gold medal in doubles with his compatriot Stanislas Wawrinka at the 2008 Summer Olympic Games and the Olympic silver medal in singles at the 2012 Summer Olympic Games. He is one of seven men, and one of four in the Open Era, to capture the career Grand Slam, and one of three to do so separately on clay, grass, and hard courts. However, in 2003 he was deemed unfit because of a long-standing back problem and was subsequently not required to fulfill his military obligation. Federer himself also credits the range of sports he played as a child—he also played badminton, cricket and basketball—for his hand-eye coordination. Federer has stated in various interviews that he is an avid cricket fan, having met Sachin Tendulkar twice. "I was always very much more interested if a ball was involved," he says. Most tennis prodigies, by contrast, play tennis to the exclusion of all other sports. In later life, Federer has been friends with the golfer Tiger Woods. Federer supports a number of charities. He established the Roger Federer Foundation in 2003 to help disadvantaged people and to promote sports. In 2005, he auctioned his racquet from his US Open championship to aid victims of Hurricane Katrina. He was appointed a Goodwill Ambassador by UNICEF in 2006. At the 2005 Pacific Life Open in Indian Wells, Federer arranged an exhibition involving several top players from the ATP tour and WTA tour called. Federer currently plays with a customised Wilson Pro Staff 6.1 90 BLX tennis racquet, which is characterised by its smaller hitting area of 90 square inches, heavy strung weight of 364 grams, and thin beam of 17.5 millimeters. His grip size is 4 3/8 inches (sometimes referred to as L3). Federer strings his racquets at 21.5 kg mains/20 kg crosses pre stretched 20%, utilizing Wilson Natural Gut 16 gauge for his main strings and Luxilon Big Banger ALU Power Rough 16L gauge (polyester) for his cross strings. When asked about string tensions, Federer stated «this depends on how warm the days are and with what kind of balls I play and against who I play. So you can see – it depends on several factors and not just the surface; the feeling I have is most important.» Federer also shares the Open Era record for most Grand Slam titles at the Australian Open with Agassi (4 titles), at Wimbledon with Pete Sampras (7 titles) and at the US Open with Jimmy Connors and Sampras (5 titles). Federer's ATP tournament records include winning six ATP World Tour Finals, winning 21 ATP Masters 1000 titles (a record shared with Rafael Nadal), playing in the finals at all nine ATP Masters 1000 tournaments, and, matching Agassi, winning seven. Striker of Real Madrid and Portugal national team Cristiano Ronaldo in conversation with the leadership of the Club asked to allow him to leave the team. According to him, he does not feel comfortable in the team. The Portuguese also admitted that he had soured relations with partners, in particular, with Fabio Coentrao and Marcelo, who was his best friend along with Pepe. Real Madrid's management and the coaching staff the team really want striker Cristiano Ronaldo felt the happiest man, according to the Spanish press. But, as recently stated the Portuguese footballer, far from it. Ronaldo said he's upset against representatives of the Club, which is celebrating goals in goals. He even asked the President Royal Club Florentino Perez to allow him to leave Real Madrid. He further stated that his mood was not due to financial issues. Meanwhile, many took the opposite view. According to the source, is to blame for the bad mood, his fellow Portuguese is Kaka. The latter could not be sold to another Club, which will have until at least the winter transfer window to pay him a higher salary. It does not allow Peres to raise wages of Ronaldo that greatly upset the latter. Real Madrid midfielder Luka Modrić debut game for the Real Madrid is an event that he would never forget. Croatian footballer who celebrated his debut in second leg of the Spanish Supercup against Barcelona. Royal Club won the honorary trophy and Modric, as a substitute, came close to score a goal. «I feel very happy man. I want to thank the fans of Real Madrid CF for the love they have shown. 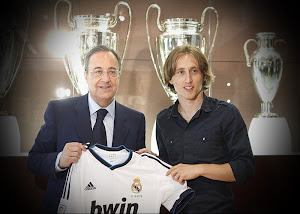 Now I have to work extra hard because we pretend to great heights,» - said Modric. In the second round of the Open Championship United States Swiss tennis player Roger Federer played against German Bjorn Phau B.. Winning in three sets, 6:2, 6:3, 6:2 won a Swiss athlete. In the third round, Federer will face Spaniard Fernando Verdasco, who in the second round in four sets to beat his compatriot Albert Ramos. 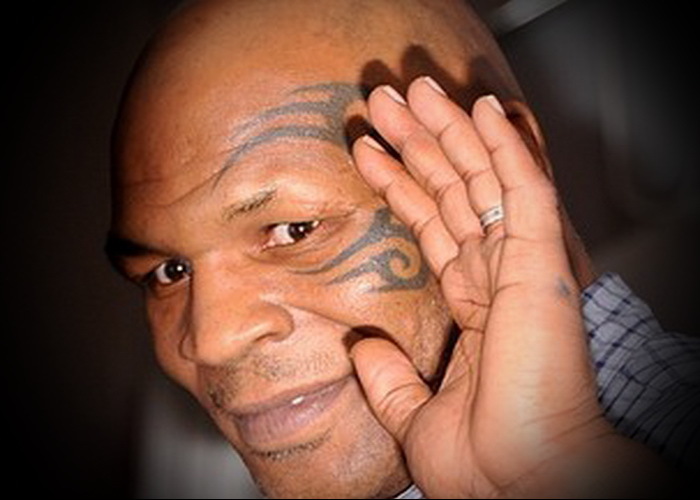 Former heavyweight champion Michael Dokes has died at the age of 54 years due to liver cancer. Note that in 1976, Dokes began his professional career and won in the same year, the title of world champion on WBA title by defeating in the final Michael Weaver, who won by TKO at 63 seconds of the first round. And in 1989, the most memorable fight in the career of Dokes - a young Evander Holyfield fight. The latest in the tenth round knockout in Dokes sent. Dokes won such strong boxers as Mike Weaver, Jimmy Young and Ossi Okazio. Realize their full potential, Michael had problems with alcohol and drugs. The WTA (Women's International Tennis Association) 6 August published an updated rating tennis players. Still the best is Victoria Azarenka of Belarus. The Olympic tennis tournament finalist Maria Sharapova moved up from third to second place. Winner of Wimbledon London Games American Serena Williams still retains fourth position. World Swiss Roger Federer withdrew from the tournament Masters-1000 series-in Toronto, which will be held from 6 to 12 August. «I am very disappointed that it must withdraw from the tournament in Toronto because I love this city and these competitions. I will need some time to recover. 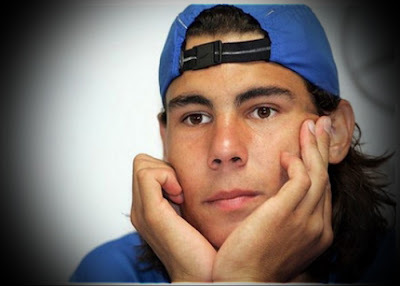 Hope that I can return to Canada a year later,» - commented his decision tennis player. We remind that Federer reached the final of the Olympic Games, beating Argentina's Juan Martin del Potro, 3: 6, 7: 6 (7: 5), 19:17. Central Defender of Paris Saint-Germain Thiago Silva, who moved into the French team from Milan this summer, told about the details of his transfer. «I wanted to stay until the end of his contract, but learned that Leonardo and Galliani in talks. But Milan's fans have shown initiative and literally drove Berlusconi to sign a new contract with me. That I belonged to the club until June 2016. I was happy to get a new contract, but everything has changed again. Resurfaced with Paris St Germain. 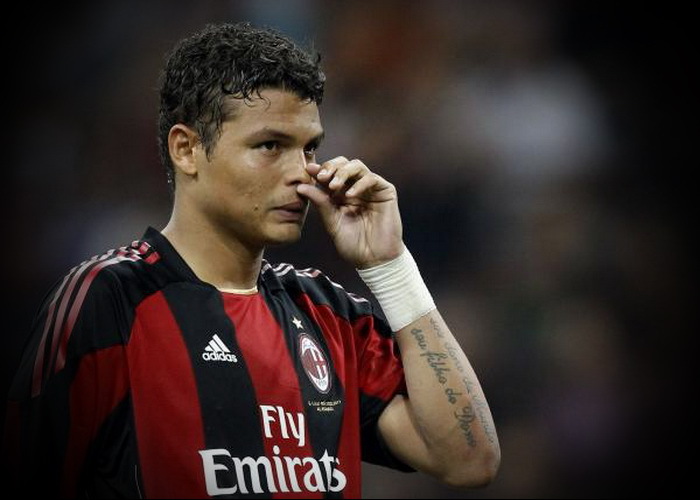 I knew that the Milan financial problems, and I found it difficult to stay in the team. I bought in his time for 10 million and sold over 42 million,» - said Silva.